Forthcoming Arthurian Edition of FAE! Happy New Year faery peeps! 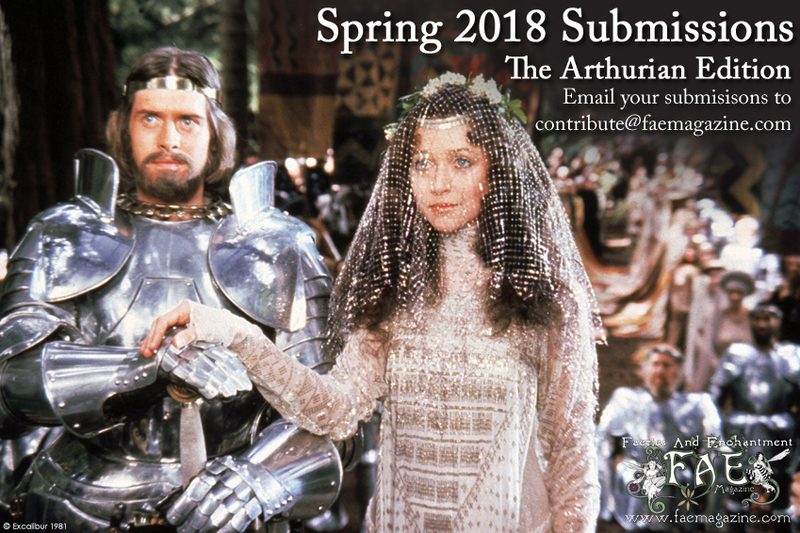 We are very excited to announce the forthcoming spring issue of FAE will be a special Arthurian Edition – Celebrating the men and women of Camelot. Features include the Women of Camelot, Arthurian Inspired Fashion, The Knights of The Round Table, The Holy and the Faery Grail, and much more to be revealed in our next newsletter and on our FAE Magazine Facebook Page! You can find FAE on Instagram too. We know there are lots of talented faeries out there, so if you feel inclined we welcome your submissions based on this theme (the deadline is 14th Feb). Other creative faery themes will also be considered. Visit our SUBMISSION page for further details. Please note submissions must be to a high professional standard to be considered for publication. If you run your own faerie business, we also have some amazing advertising opportunities to be featured in the spring edition. Email us at adverts@faemagazine.com for more details, or visit the FAE website for more details. The back cover is already booked. 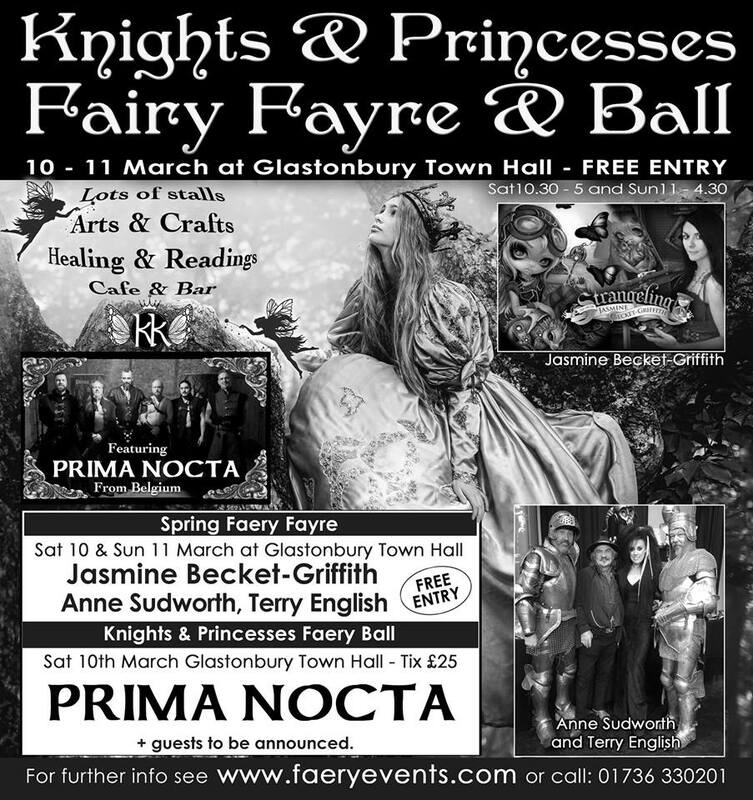 The new Arthurian edition of FAE magazine will be available from the FAE stall at the Avalon Faery Fayre THIS MARCH on 10th & 11th at Glastonbury Town Hall, Somerset, UK – FREE Entry both days, with fairy artist Jasmine Becket-Griffith, Anne Sudworth PLUS Extra special guest artists to be announced! Stayed tuned! 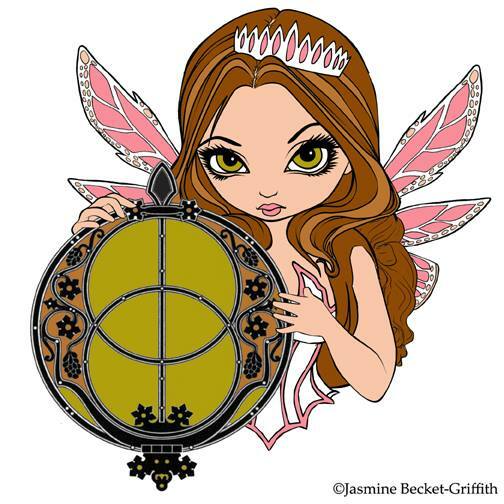 Artist Jasmine Becket-Griffith has created some EXCLUSIVE limited edition Avalon Fairy Pins for the first 100 visitors to her stall, and she’s saving some for Sunday visitors too! One pin per customer with a £2 minimum sale! The Doors open at 10.30am on Saturday and from 11am on Sunday so get there early to grab yourself one of these amazing enamel pins! 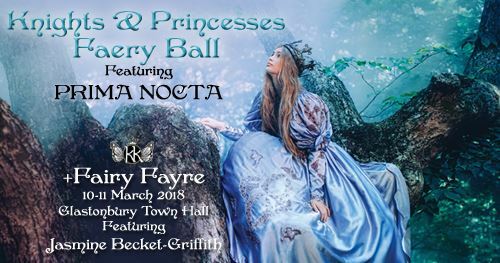 Tickets for the evening Faery Ball can be purchased HERE – Please not the evening event usually sells out.